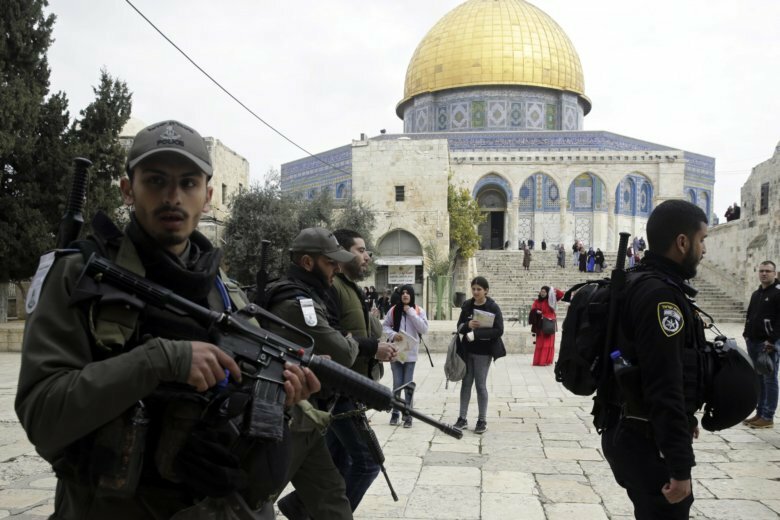 JERUSALEM (AP) — Israeli police say they have arrested five Palestinians for allegedly “causing a disturbance” at a flashpoint Jerusalem holy site. The site — known to Jews as the Temple Mount and to Muslims as the Noble Sanctuary — is considered the holiest place in Judaism and the third holiest in Islam. Any change to the status quo, no matter how minor, has the potential to ignite tensions.